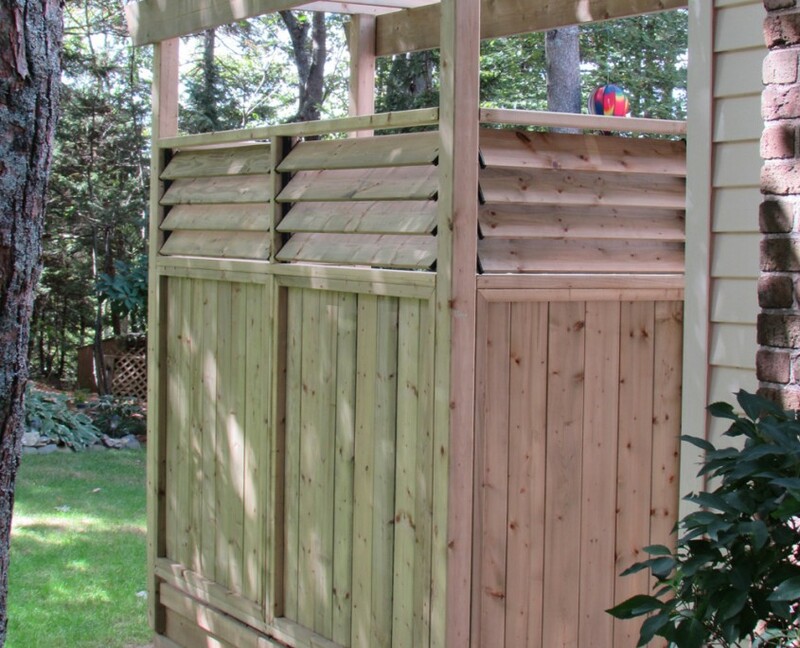 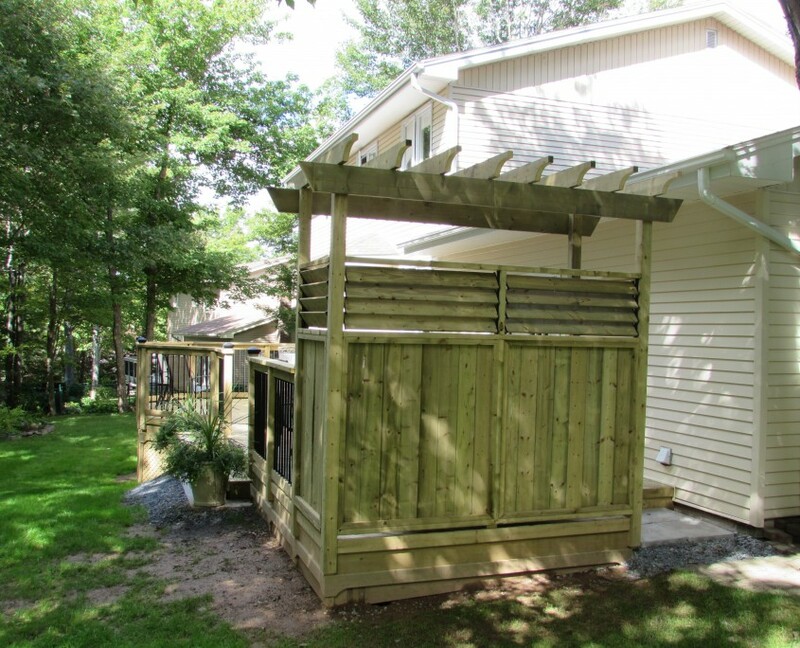 A dynamic fresh look for these customers, this project was designed to add texture to their outdoor oasis. 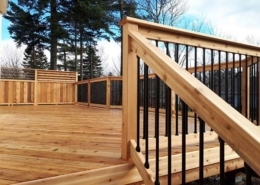 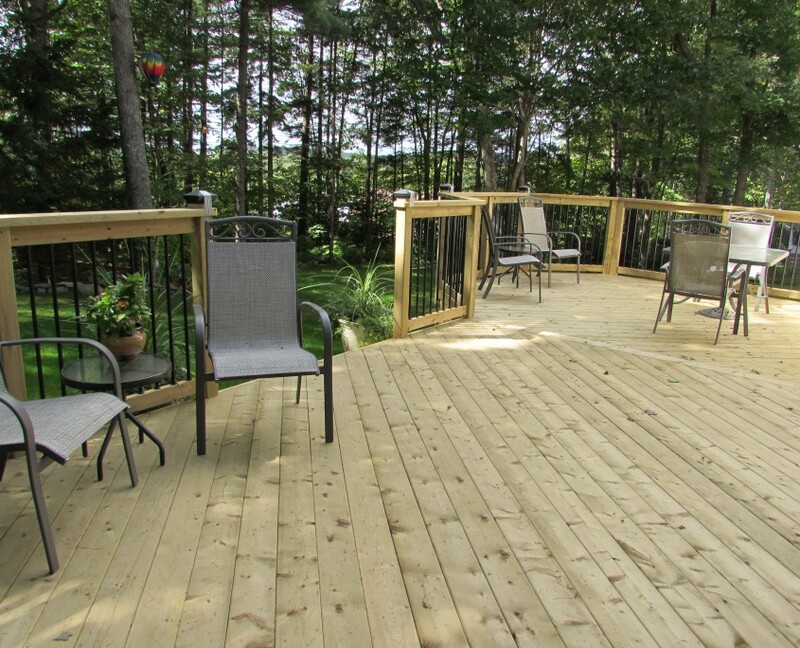 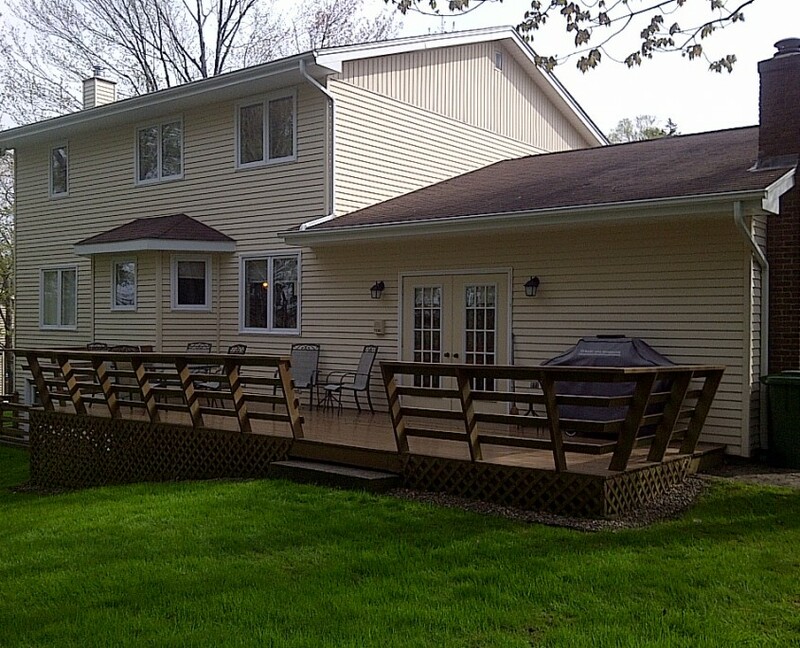 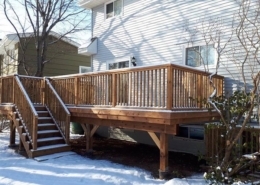 Built with pressure treated lumber, and built with a stylish diagonal pattern, this deck has some key features that sets it aside from the “norm”. 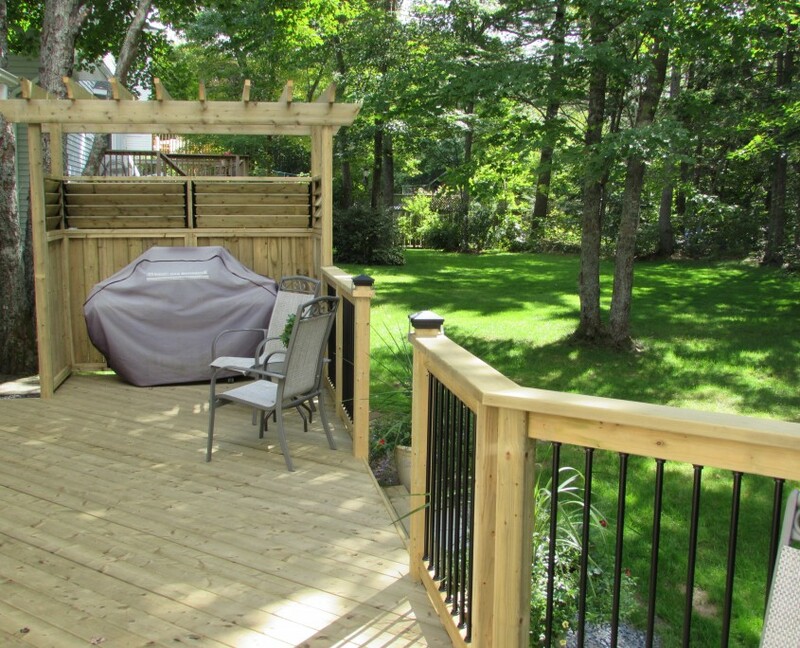 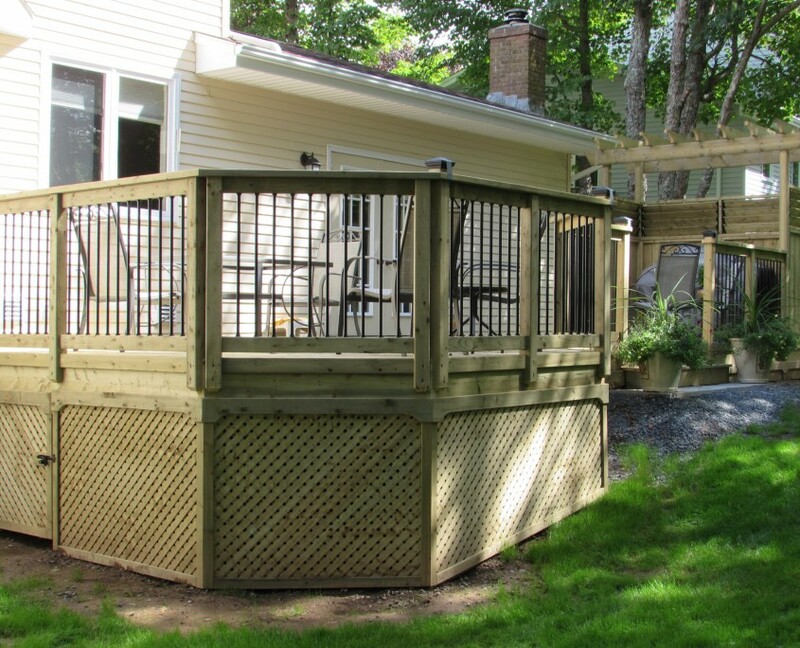 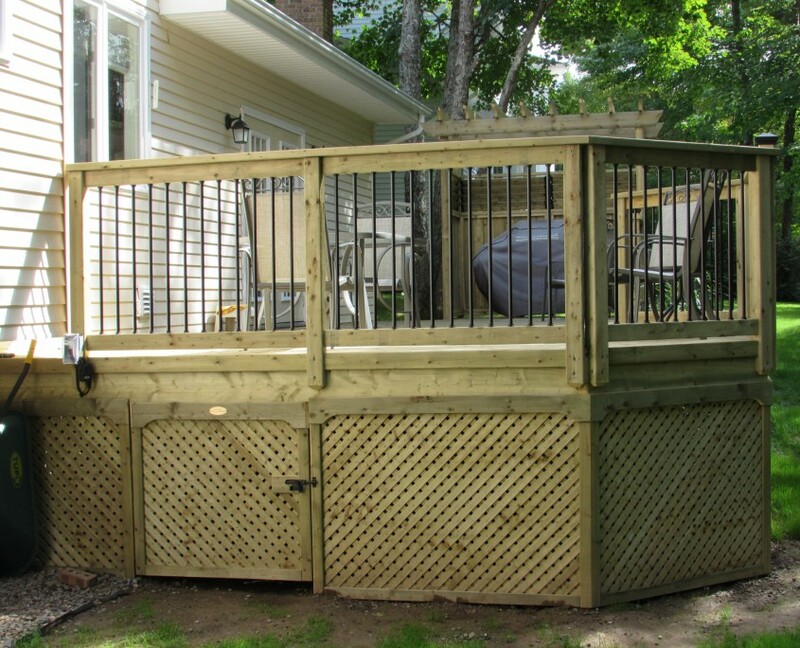 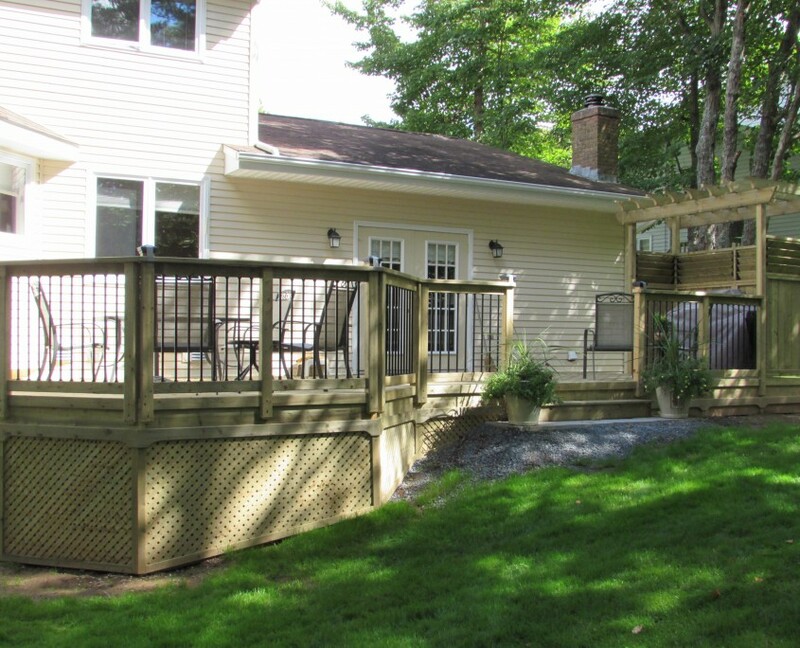 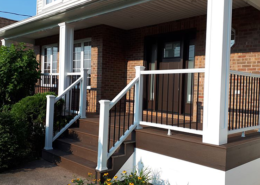 A free standing pergola provides a transition from a flat deck to a barbeque haven with shade, aluminum balusters were used to give the railings some color, privacy lattice skirting and a single gate access door was installed to provide storage and easy access to underneath the deck. 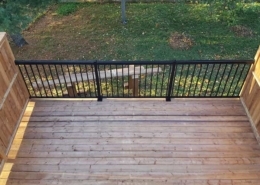 To make this project complete, post cap lighting was installed to light up the rails at night.